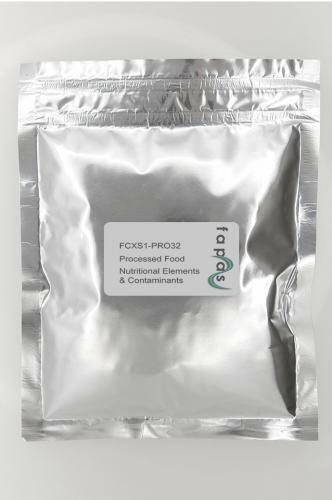 This matrix is intended to replicate the type of real-world food sample that official control laboratories receive on a daily basis. Their customers might require a nutritional component analysis to compare against the label declarations. However, the laboratory might also be asked to analyse the same sample for contaminants such as heavy metals, non-permitted colours or allergens. The fact that this is a processed matrix makes the analysis more challenging than raw ingredients analysis. For those laboratories who also require simple matrix PT for defined analytes, we will continue to provide these existing PTs so that we meet everyone’s demands for comprehensive PT provision. Fapas proficiency tests highlight potential deficiencies within your testing process, such as highlighting any unconscious bias, through ineffective instrumentation calibration for example. By using real food matrices your proficiency test results are immediately comparable to your routine analysis and as such can provide direct improvements from which to safeguard your high-quality testing practices.